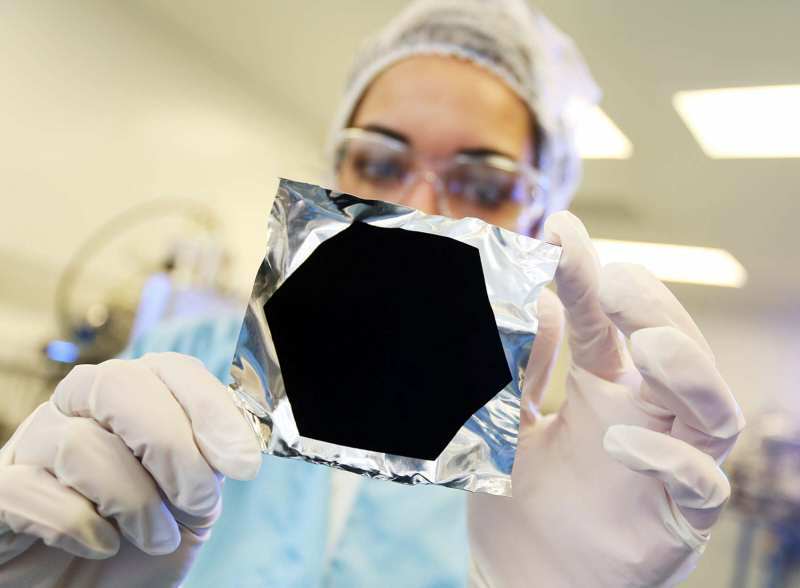 In 2014, UK company Surrey NanoSystems created the world’s blackest material, and now they’ve made one even darker. Scientists have made an upgraded version of the Vantablack material, which is so dark that spectrometers can’t measure it, as it lets in less than 0.035 per cent of light. It’s made from a special coating made from carbon nanotubes that are about 3,500 times smaller than the diameter of a human hair. Basically, the tubes get packed so tightly together that when light enters the gaps between them it bounces around and can’t escape, Techspot reports. And Techspot says we can expect to see the super-dark material enter the art world soon. Sculptor Sir Anish Kapoor has announced that he’s bought the exclusive rights to use Vantablack in his work. Imagine a space that’s so dark that as you walk in, you lose all sense of where you are, what you are, and especially all sense of time. And it’s not hard to imagine that just looking at the picture. Apparently, the material is so dark that the human eye can’t understand it, so shapes and contours are lost. Which sounds pretty accurate. It looks like someone used paint to draw a hexagon on a piece of tin foil to me. To paraphrase Spinal Tap, how much more black could this be? And the answer is none. None more black.